10 tiles in the set of 2 panels. 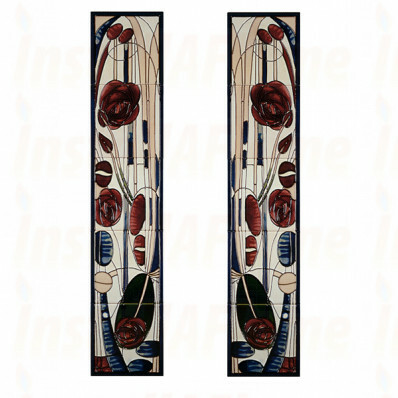 Art Nouveau tiles used a process of tube lining where slip was trailed onto the surface of the tile. This formed raised lines separating the areas where different color was wanted. Colored glazes were poured into the areas of the tile formed by the tube-lined decoration. 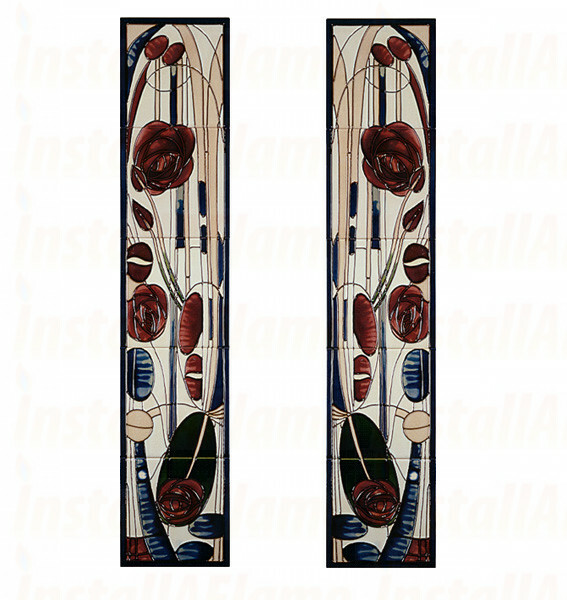 These tube-lined tiles later gave rise to the moulded Art Nouveau tiles as a cheaper alternative. Tiles have been hand produced in the time honoured way. The very nature of hand production ensures that no two pieces will ever be exactly the same and that inevitably there will be some shade variations from tile to tile. Each tile is fired twice which creates the kind of durability under the intense heat conditions demanded by fireplace tiles.